Although Iran began developing the Sejjil missile in the late 1990s, it would not have been realized without the development of the Zelzal missile family, which provided Iran with the domestic capability to produce solid propellant fuel. Even with a basic domestic capability to produce solid propellant, Iran still likely received assistance from China to fuel the Sejjil. Fueling with solid propellant shortens missile launch preparation as opposed to liquid fuel missiles, which can take several hours to launch. According to state media, Iran successfully test launched the Sejjil-2, an upgraded version of the Sejjil-1, in 2009. Little is known about the Sejill-2 other than, like the Sejjil-1, it likely has a range of around 2,000 km and uses solid fuel. Iranian media reports indicate that the Sejjil-2 has “anti radar coating” which make it harder for missile defense systems to track. Although the Sejjil’s range makes it a significant threat to the security of the greater Middle East and Southeast Europe, Iran asserts the Sejjil is only for defensive deterrence purposes. 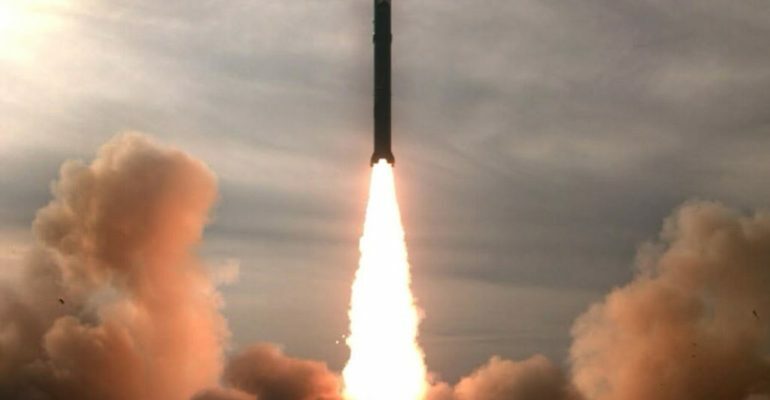 Despite Iran’s claims of deterrence, the United States and Europe have heeded Iran’s potential threat by implementing the European Phased Adaptive Approach to protect Europe from potential Iranian ballistic missile attacks. There are unconfirmed rumors that Iran is working on developing a Sejjil-3 missile, which would have a greater range than its two predecessors and increase the threat posed by Iranian ballistic capabilities. February 2011: Iran successfully test fires the Sejjil-2 missile. October 2010: Successful test firing of Sejjil missile. December 16th, 2009: Iran successfully test-fires an upgraded version of the Sejjil-2. September 28th, 2009: Unsuccessful test of the Sejjil-2 missile. May 20th, 2009: Iran successfully test fires the Sejjil-2 missile. November 2008: First successful test of the Sejjil missile system. November 2007: Initial version of Sejjil missile, Ashura, test-fired unsuccessfully. May 2005: Iran successfully completes test-firing of Shahab-3D solid-propellant motor. Ballistic & Cruise Missile Threat. National Air and Space Intelligence Center, 2013. Accessed April 17, 2014. http://www.afisr.af.mil/shared/media/document/AFD-130710-054.pdf . The Gulf Military Balance Volume II: The Missile and Nuclear Dimensions. Center for Strategic and International Studies: Burke Chair in Strategy, 2014. pg 37. Accessed April 24, 2014.http://cryptome.org/2014/03/gulf-mil-balance.pdf. Missile Threat. “Sejil 1/2/3.” Last modified April 17, 2013. http://missilethreat.com/missiles/sejil-123/. “Iran successfully tests Sejjil 2 missile.” Press TV, March 20, 2009. Accessed April 24, 2014.http://edition.presstv.ir/detail/95359.html. Sanders, Patricia. “Missile Defense Program Overview For The European Union, Committee On Foreign Affairs, Subcommittee On Security And Defence.” Missile Defense Agency. Last modified June 8, 2008.http://www.europarl.europa.eu/document/activities/cont/200712/20071220ATT17100/20071220ATT17100EN.pdf.